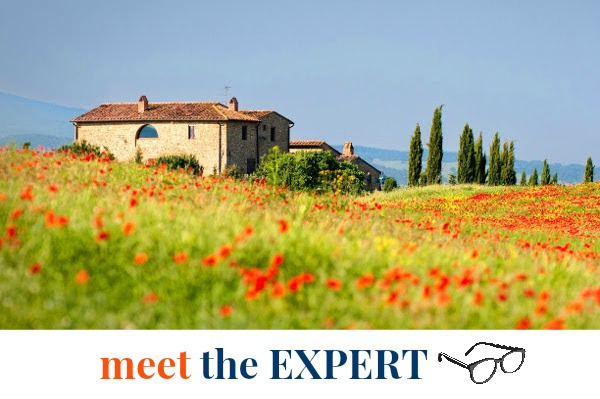 Have you found your ideal home in the ‘boot-shaped’ country and you need to obtain a mortgage from an Italian bank to be able to buy it and finally see your dream come true? We’ve asked Efisio Borrelli, financial expert at MortgageItaly.com, to answer the 10 most frequently asked questions that we often receive from home hunters in Italy. So starting from today, there will be no more secrets about getting a mortgage in Italy. 1. What paperwork do you need to get an Italian mortgage to buy a house? – Full Credit Report + Credit Rating (fair, good, excellent, etc). – Copy of last 2 full Tax Return. 2. What are the requirements for foreigners to qualify for a mortgage in an Italian bank? 3. Are there any costs related to starting a mortgage in Italy? And how about legal fees, if there are any? “If you are eligible, then there are some small initial expenses to incur. Every bank applies a rate on the expenses required for processing the application (typically between 1.00 – 1.50% on the mortgage amount) that will be directly withheld on the supplied sum. But nothing will be charged if the application is not accepted. The bank examines the characteristics of its clients (solvency, level of income, credit history) but it also verifies the value and urban compliance of the property in question in order to have a valid guarantee of the operation. To this end an external technician is employed to make an appraisal. The price varies on the basis of agreements that every credit institution has with the consultants. The average is of €250-300. This sum is paid directly to the consultant as he/she is not an employee of the bank. What is more, the supplied sum is taxed with a one-time “substitute tax” (imposta sostitutiva) of 0.25% if the new home becomes your residency or 2.00% on the mortgage amount if the new home is your second house. This is withheld by the bank that looks after the payment to the Income Revenue Authority (Agenzia delle Entrate) on behalf of clients. Let’s imagine you have obtained a financing of €100,000 for the purchase of your primary residence with a bank that applies preliminary expenses of 1,00%. Once you make the deed of purchase of that property in front of a notary, we will find a bank draft or bank transfer warrant of € 98,750, or € 97,000 in case of a second home. So do not forget also the notary figure, who is necessary for the preparation of commerce acts and mortgages, verify and guarantee that current norms are followed, from the point of view of the Tributary Civil Code. 4. What percentage of the property value (purchase price) will a bank loan in Italy? Is there a minimum amount below which they will not grant it? For instance, if I need €30,000, will the bank grant it? “Normally, non-resident customers are granted a loan that doesn’t exceed 50-60% of the minor between the buying price and the appraised real estate value. 5. Can you start processing your application without knowing which property you will purchase in Italy? Of course! It is possible to present a request without providing the property documents, but having a definitive choice is preferable as very few banks will proceed otherwise. 6. Can mortgages be paid off with lump sum amounts without penalty? If there is a penalty, how much do you have to pay? 7. People often buy a home in Italy to spend their retirement years. However, is there an age limit to take out a loan? 8. Is it possible to settle a loan in a currency different from euro? 9. Currently, what is the average interest rate of a bank mortgage? Can you also make a forecast for these coming years? “Well, the cost of money is currently at a historical low, so you can find really good loans. Granted that every bank is at liberty to apply the surcharges that it deems appropriate, it is safe to say that in order to finance a maximum of 50-60% of a house purchase in Italy, the market offers a fixed rate of 2.5% to 3.5% according to the loan length. A variable rate, on the other hand, averages around 1.5%-2.0%. Forecasting the future? That’s never an easy task! Just think about the fact that 2-3 years ago, people thought that an upswing in consumption would cause the cost of money to go up again. Well, that hasn’t happened yet! 10. You have just mentioned “fixed rate” and “variable rate”. What does it mean? What are the different types of Italian mortgages? “You may have heard of “fixed rate”, “variable rate”, and “mixed rate”, which are the most common ones. Like in every other country, there are the same types in Italy too. Nowadays, because the rate level is as we said above, people mainly choose the first option we mentioned. The reason lies on the relatively small difference with the variable rate, in the face of the opportunity to secure the certainty of a monthly expense for the entire duration of the loan, which, as we said, has a historically low rate. In my experience, it is suitable for the most cautious customers and especially for those who have a fixed income and need certainties on the obligations they undertake. The variable rate is normally always lower than the fixed rate, so it generates a cheaper rate, but because it is tied to the rate trends, the instalment amounts will have a tendency to increase and decrease. This is suitable for those customers who are able to endure rate hike phases, to later take advantage of rate decreases, usually entrepreneurs, professional managers, etc. All of this made the use of the mixed rate unnecessary – a rate that allows for the possibility of switching from a fixed to a variable rate, or vice versa, according to pre-established contractual conditions. Same thing for “constant instalment” mortgages, which are set at a variable rate but charge a fixed instalment, with the rate changes being reflected on the loan length rather than on its monthly instalment amount. So, for instance, if during an amortisation plan with a fixed monthly instalment of €500, a rate hike occurs, there will be a final debt of the borrower towards the bank, and if the borrower owes the bank €10,000, then this results in the plan being extended by 20 months. On the contrary, if the rate average through the years has always been lower than the agreed-upon rate in the contract, thus with the customer being “at an advantage” with respect to returning the capital, in this case the mortgage will end before the expected 20 years. Please be informed that the Italian Consolate in New York City states that they do not provide translation services. Thanks a lot for your clarification and letting us know about that case. We’re going to explain even further that point in the text. As a matter of fact, Consulates in some cases provide translation services, in other cases they simply provide a list of certified translators. As an alternative translation is also offered by some translation agencies or freelance translators in Italy that must take oath for true translation. Hello, thanks for the useful article. As a US citizen who resides in Rome, how does it work if I purchase a prima casa here, and then rent it out at a later stage. How do I calculate the taxes I need to pay on the rental income (and any other associated expenses)?